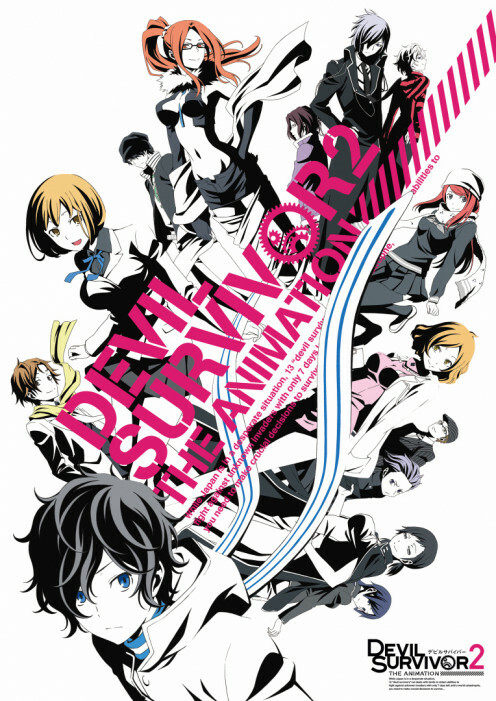 Devil Survivor 2: The Animation is a 13-episode long series that is an adaptation of ATLUS' Devil Survivor 2 for the Nintendo DS portable console. Those that have played the game will certainly know what to expect when watching the series. The original game, in the format of a tactical role-playing game, came out in Japan on July 28, 2011 and came out to the United States on February 28, 2012. 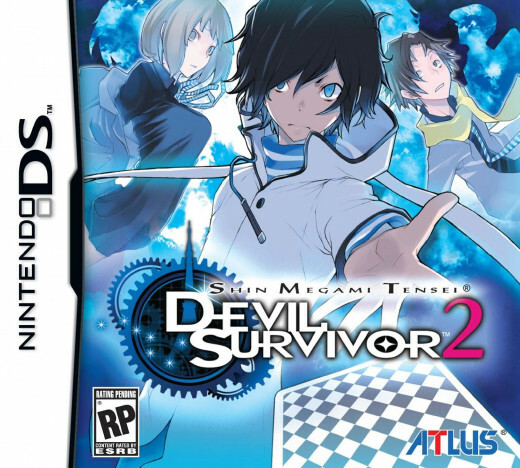 It is the sequel to the first Devil Survivor game and is part of ATLUS' Shin Megami Tensei universe. This is one of those stories in which you have to save the world from its destruction in a matter of days. 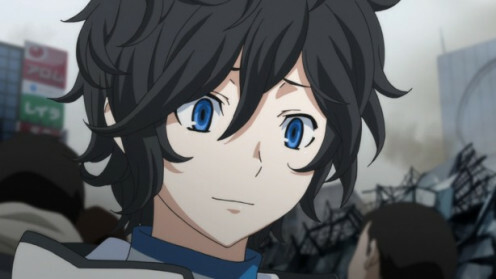 In the case of Devil Survivor 2: The Animation, the heroes only have 7 saves to save Earth. Keep in mind that the pace of the anime flows much faster than the pace of the actual game which one has to understand. Having played the actual game a couple of months before the anime started airing, I had an idea of what to expect when watching the first episode. At the same time, there were twists in the series which caught me by surprise. While Devil Survivor 2 has several ending routes you could choose, the series itself decided to go in the direction of one of the paths. Many of you who played the game and tried to save everybody may find themselves disappointed and bummed out as the series progress. Devil Survivor 2 starts out with friends Hibiki Kuze (the protagonist) and Daichi Shijima getting done with their mock exams as they are about to graduate. At the subway, Daichi recognizes fellow classmate Io Nitta. They talk about this phone app called Nicaea which shows “death clips.” Seeing their own deaths, they try to leave the subway. But, the subway car crashes. The three of them miraculously survive thanks to Tico who is the AI of Nicaea. Then, they combat and capture “devils” to assist them in battle. 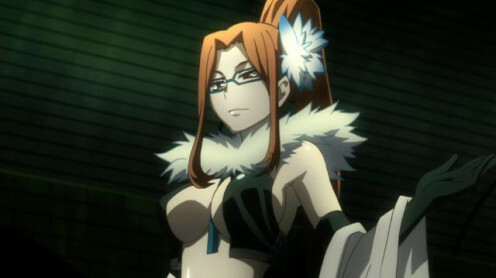 They are apprehended by the Japan Meteorological Agency called “JP's” They meet Makoto Sako who is the right-hand woman to Yamato Hotsuin who's the the head of the group. From then on, Hibiki and his friends agree to work with the group in order to fight against the devils and destroy the Septentriones with the latter being mysterious invaders. There are seven Septentriones total with each one appearing once a day. In short, everybody's fighting one every single day until they confront the final one. While the goal of the story is clear, there are a lot of moral dilemmas present in the story. Most of Japan is in chaos due to the government's inability to handle the devils and Septentriones. There are many displaced citizens looking for food, water, and shelter. JP's ends up being the sole authority of the country due to the circumstances. Under the direction of Hotsuin, JP's forsakes Japan's citizens in favor of the group's members for a number of reasons. Due to these circumstances, Hibiki is divided between being objective and maintaining his sense of humanity. These seven days are an ordeal for Hibiki. You have to deal with realistic and extremely unnatural problems at the same time. On one hand, you can lose faith in humanity by the actions of JP's and the reaction from the angry mob of civilians; on the other hand, you can regain faith in humanity by the actions of Hibiki. The story, in a sense, builds up the debate on who is considered “useful” to society; which is a debate we usually have going on in our heads. 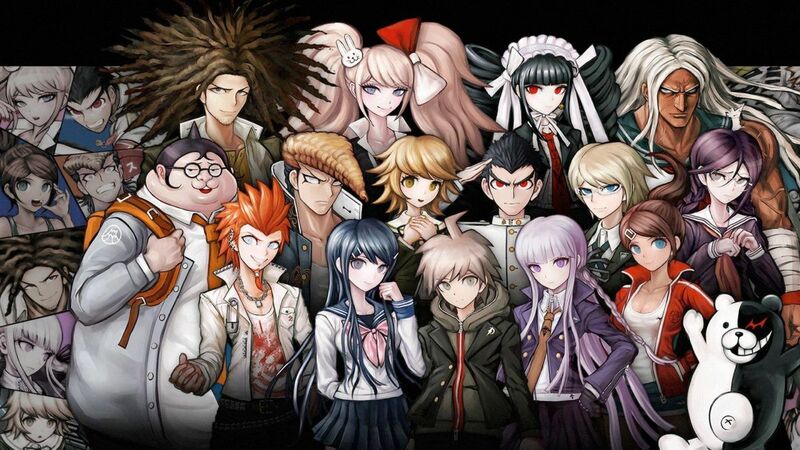 All the characters from the game are present in the anime. 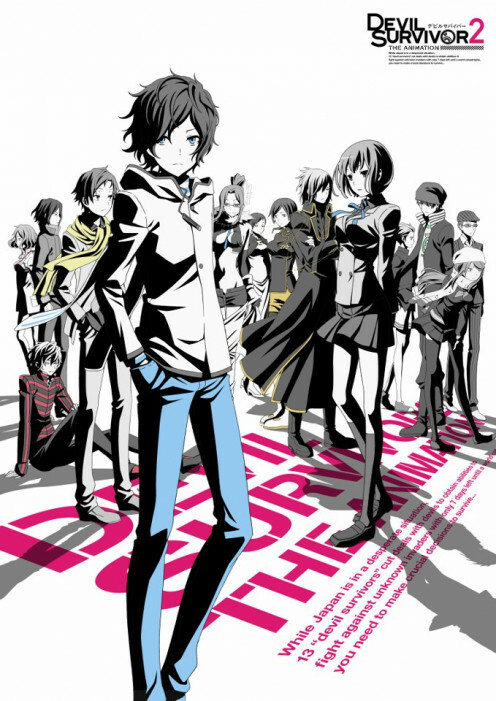 The main character is Hibiki Kuze who is the silent protagonist from the original game. The characters you originally come across in the game don't necessarily show up until sometime later in the game. In the game, Hibiki is given a blank slate as you get to pick what he says, what he does, or how he acts. In the anime, his personality is more fleshed out. He is altruistic which makes him the polar opposite of Hotsuin. The many playable characters such as Yuzuru Akie, Keita Wakui, and Hinako Kujoh have been made supporting characters rather than major characters. 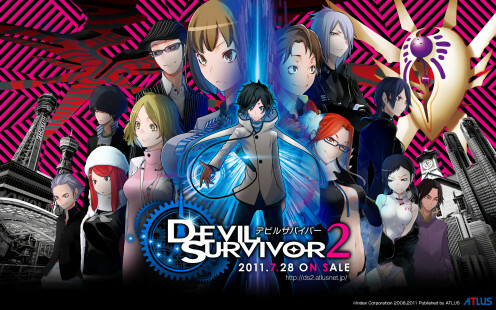 Hibiki, Daichi, and Io remain the three main characters in the series. 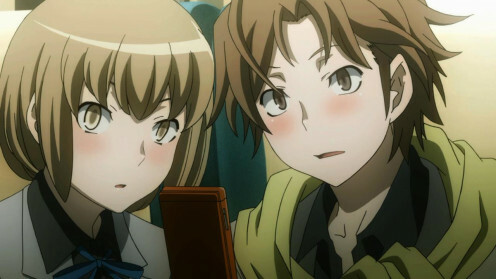 Io proves to be a very pivotal character and potential love interest to Hibiki in the series. Daichi is accurately portrayed as the happy-go-lucky best friend who seems to be inept at fighting. 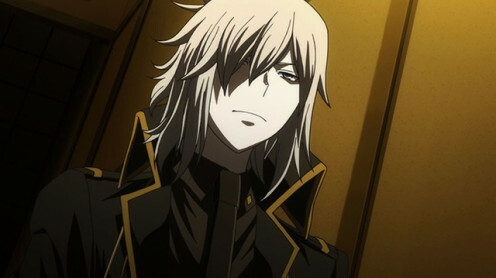 Alcor aka Anguished One has a more active role in the series. 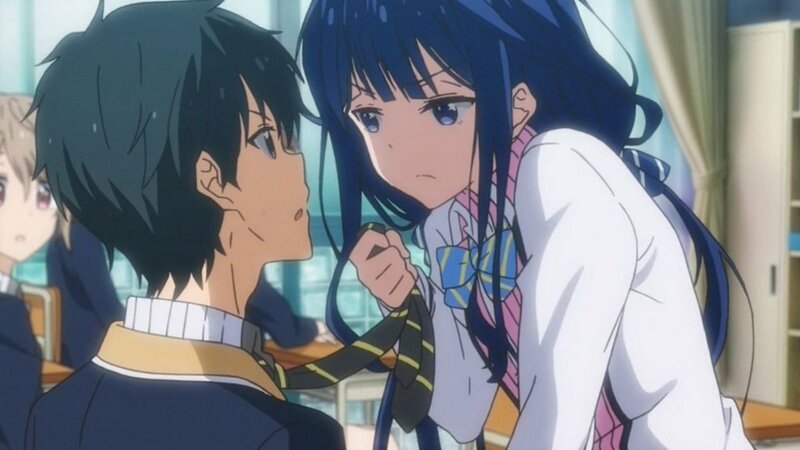 While trying to remain a neutral character, he gradually becomes more sympathetic to Hibiki than Hotsuin. He remains true to his original video game counterpart. 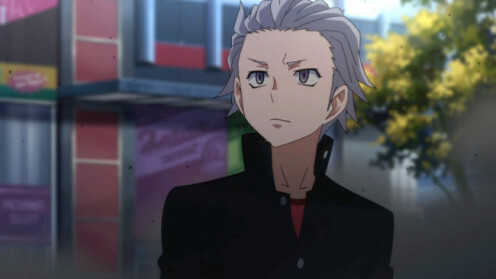 In the anime, Alcor is really fleshed out. While originally seeming like a villain, Alcor happens to be very heroic and more compassionate than Hotsuin. Hotsuin is more heartless and condescending than his video game counterpart. His ulterior motives are revealed early on as he thinks that Hibiki is his property. Ultimately, Hotsuin wants to create a world which promotes “survival of the fittest.” While a major character, Hotsuin's goals make him the secondary antagonist of the series. In the anime, Hotsuin comes off as the villain you just want to hate; at the same time, the series shows glimpses of his past. I personally wanted to see more focus on the characters that were made into supporting characters; but, the series is only 13 episodes long. So far, the characters remain unchanged (which is a good thing) except with Hotsuin being darker than his game counterpart. 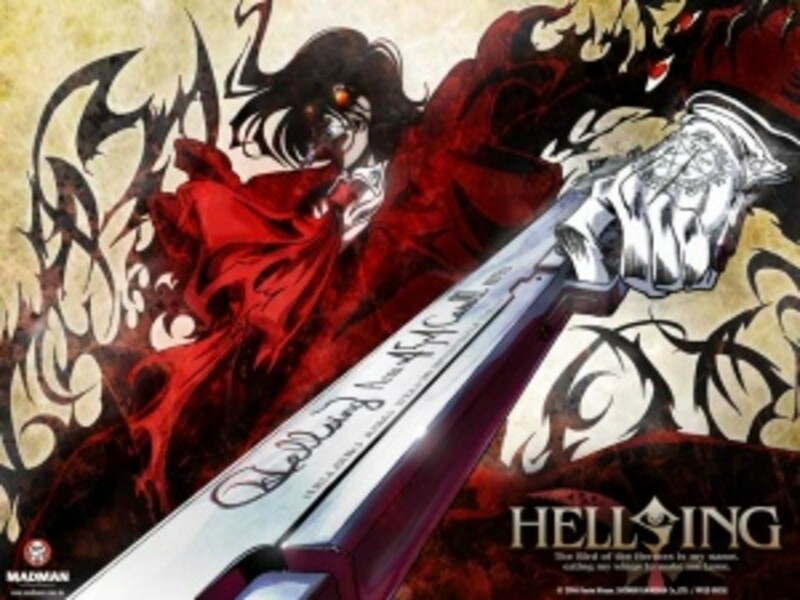 In the direction the anime's story was going, this version of Hotsuin was necessary to the progression of the story and the development of Hibiki. But I wished they focused more on the other characters as well. I felt the music was average but appropriate for the series. But, the one music track that had gotten my attention was the overall ending theme to the series. The song is called “Be” which is performed by the Song Riders. Ever since I heard the ending theme for the first time, I wanted to find the full version of it. It agonized and pained me to wait so long; I had to make do with playing the short version over and over again. That song alone can make you feel all sorts of emotions. "Be" by Song Riders, is one of those memorable ending tracks. 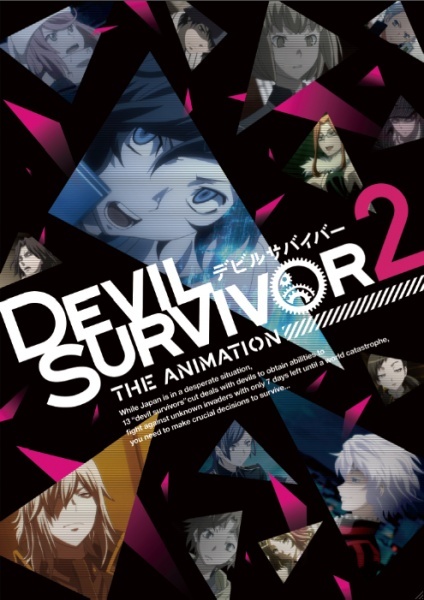 It is a track that will make people think of Devil Survivor 2: The Animation. This is a tune that I can play over and over in my head. I think that this is perhaps the best track that is associated with the series. 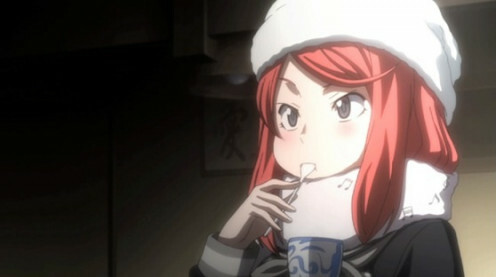 Devil Survivor 2: The Animation is a pretty decent series. If you have already played the original RPG, it can be boring and predictable. One can understand the reasons the anime's story is somewhat different from the game's story. 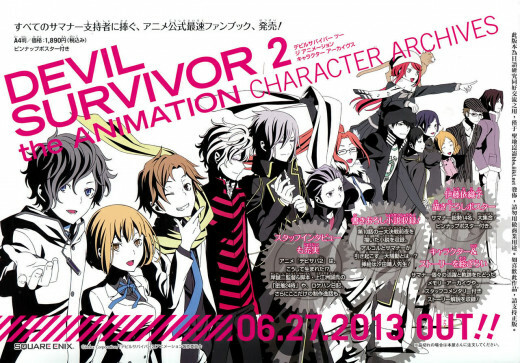 If you enjoyed the game's story, you should give Devil Survivor 2: The Animation a chance. It wouldn't hurt to play the game before watching the series; however, if you do, it's important to keep an open mind with the series. But, it will be somewhat boring though. By playing the game, you do risk of having the story ruined for you.